Excellent record in any area of computational solid state physics or chemistry. 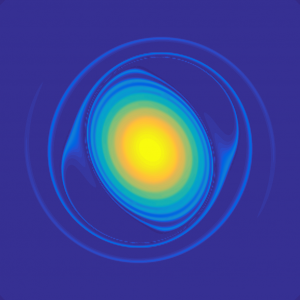 The areas of expertise can include – but are not restricted to – density functional theory, many-body Green’s function techniques, quantum field theoretical methods, quantum chemistry methods, or modeling of condensed matter systems. Candidates with proven expertise in developing new computational methods and adapting them to high performance computers will be given preference. Prior knowledge of VASP is advantageously but not strictly required. iii) expression of interest concerning research area(s) and previous expertise (one page). Applications need to be sent to georg.kresse_at_univie.ac.at (topic: Scientific software developer). Selection of candidates will start immediately and continue until the positions are filled. The contract will be for one year initially, with the possibility for a permanent contract after positive evaluation. The Science Gateways Community Institute (SGCI) Workforce Development team is looking for a summer intern interested in developing their gateway development skills. Eligible applicants include graduate students majoring in computer science or computer engineering (or related fields) at any level and undergraduates majoring in computer science or computer engineering (or related fields) who have completed their junior year and who demonstrate strong programming and software engineering skills. Interns will be required to attend the Gateways 2018 conference, for which SGCI Workforce Development will provide funding. Attending PEARC18 is recommended, but not required. Funding will be provided by SGCI Workforce Development to interns who decide to attend. More information at sciencegateways.org/engage/internships *Note that even though the website says the application window is closed, ARC-TS still has a position opened. 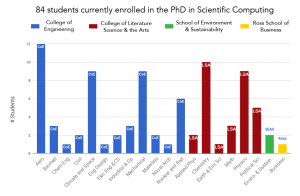 MICDE remains committed to advancing the understanding of science in general, and computational science in particular, in the community. To this end we have continued our support of internal and external organizations. 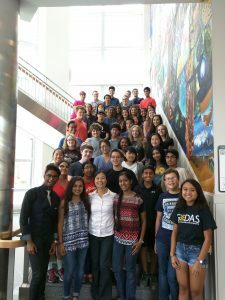 Externally, our ongoing support of the non profit science outreach group, miRcore, included running MICDE sponsored compute cycles on Flux for high school students participating in miRcore’s computational biology summer camps through their student network called GIDAS. We also continued to support the undergraduate Biosoftware Team that has competed in the International Genetically Engineered Machine (iGEM) year competition for the past five years. 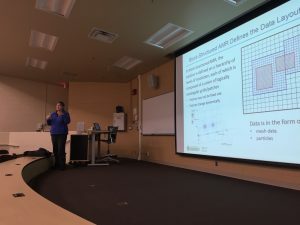 The team participates in the software track aimed for computer scientists and developers to nurture their knowledge of biology, and for computational biologists, bioinformaticians and biologists to enhance their aptitude for building software. Over the past couple of years, the team has been developing ProtoCat, a software developed to address the issue of reproducibility in synthetic biology. It is a collaborative platform on which researchers share their experiment protocols and users can customize them to meet their own needs. For the third year in a row, the team returned with a gold medal. 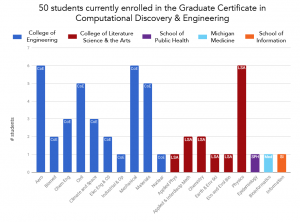 Internally, less than two years since its inception, the Scientific Computing Student Club (SC2) has established several activities that complement the formal training in computational science available at U-M, including through MICDE’s PhD in Scientific Computing, and Graduate Certificate in Computational Discovery and Engineering. 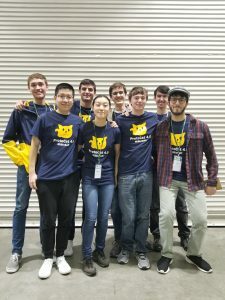 Over the past year, the SC2 had his own invited speakers, organized tours to the Flux facility and the U-M 3D Lab, organized the first Visualization Challenge, co-sponsored by NVIDIA, and just recently added a section on its web page for academic and non-academic job opportunities. During the 2017 Fall Term, SC2 students ran a weekly Machine Learning Collaborative Workshop, and the group is planning a hands-on series on code parallelization. We continue working towards increasing our engagement with industry. 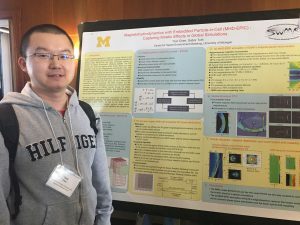 Over the last two years, in addition to NVIDIA, MICDE has established partnerships with IBM, through the joint design and development of our computer cluster, ConFlux, and with Toyota Research Institute, through a funded project on scientific software for materials research. We are now working in partnership with the U-M Business Engagement Center to create an MICDE industrial affiliates program, which will provide many additional avenues for interaction between our students or faculty and industry. IBM is showcasing the current research developed with ConFlux, our ground-breaking cluster that uses IBM’s HPC and storage technology to enable scientists to draw on huge volumes of bid data and use machine learning to create reliable models for compute-intensive research. Todd Raeker, Research Technology Consultant for the University of Michigan.